Chalked Out drops a promotional trailer for their upcoming Comedians Versus Battle Rappers crossover event. The event will feature 5 battle rappers going up against 5 stand-up comedians. 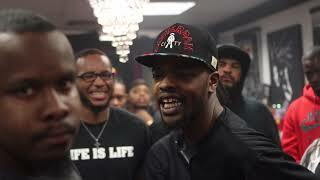 The battle rappers include, Shuffle T, Respek BA, The Calcium Kid, Matter and J Dillon. The event will be going down on February 24th in Liverpool.